How to disentangle the conflictive logics of cultural and ethnic diversity? How to understand the complexity of cultural diversity? These questions lead my research (and projects) in Sudan and Ethiopian borderlands. I have studied diversity through the angle of heritage-making policies. Heritage is a byproduct of modernity. Studying heritage-making, i.e. understanding the value and the role actors as well as local population assert to heritage while institutionalising it, enables the researcher to apprehend narratives of culture, identity and diversity developed by local insiders and outsiders. Thus, one can understand how the diverse and ofter opposed groups perceive each other and how their mutual reflective perception defines the limits of identity. However, drawing on this reflection, identities appear to be caught in dynamic and moveable nexus rather than tight clusters. Influenced by Alfredo Gonzalez-Ruibal research on failures of modernity in extreme borderlands and Fredrik Barth‘s work on boundaries of ethnicity, I carried out fieldwork research in Gambella region, on the border with Ethiopia and Sudan in January-February 2008. Below is presented one of the first outcomes of this research as proposed to the AEGIS-ECAS conference in Leipzig, 2009 in the panel Writing the Oral: the building of history and the notions of ‘past’ and ‘present’ convened by Manuela Palmeirim and Manuel João Ramos. This paper critically examines the linkages between classical social anthropology and history by local historians in the context of Gambella region, located on the border of Ethiopia and Sudan. It will be analysed how native historians can re-write the history of their own region by confronting the local knowledge and social memory vis-à-vis classical anthropological studies done about the region. Gambella is located in the western lowlands of Ethiopia and borders Southern Sudan. The region is characterised by cultural, religious, and ethnic diversity that have attracted pioneers of social anthropology, such as Edward Evans-Pritchard, in the early 20th century. Five native groups compose the so-called ‘traditional’ system of the Gambella region, being the most famous the Anuak and the Nuer. During the 1970’s and 1980’s, the ‘traditional’ system was disturbed by the resettlement of Highlanders – Oromo and Amhara – in the region and the refugee flows from Southern Sudan. Since the introduction of Ethnic Federalism in the Ethiopian system, the ‘traditional’ system has been valorised by the central authorities. Consequently, tension arose between the native groups and the settlers, and competition for land and resources increased. In this context, local historians and anthropologists have started in the early 1990’s to conduct studies and to collect artefacts and oral discourses to document the evolution of their traditions. They also intend to analyse relationships between the diverse local groups. The studies produced by the local historians confront the studies of Evans-Pritchard and other Western academics in order to “re-equilibrate” the writing of history in the region. The aim of this paper is to present these unpublished and original studies and propose a synthesis of the elements collected by the local historians and anthropologists. This article will include analysis on how their studies recover and/or reformulate the paradigms of classical anthropology, and as well how this ‘grass-roots’ knowledge based on the historicity of relationship between the groups might contribute to re-write local history from a ‘marginal’ point of view. See also the Gambella Stories: a subjective description of Gambella region issues on cultural diversity, conflictive multiculturalism, remote globalisation. 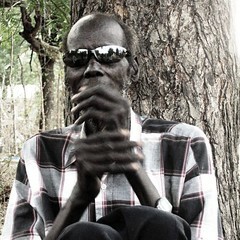 A website of the Gambella stories as seen in my fieldwork notebooks is also under construction. The more the cultural diversities,is the more the diversities knowledge you. Gambella is the home of diversities cultures and crutial historical heritages,which shows the traditional ways of life of the indeginious people.im sure that there is more historical events,that did not even alittle bit researched by researchers.the name of the region,drived by nuer ethnic,which mean gam bel,the people try to creat this name by reseon,because when they comes to buy a maize,the sellers are always,selling their maize with out making contianer full as legal as gov,t and community knows, by the reseon the nuer created the name gam bal.nuer is the major population in gambella.nuer community are always creating name throught conditions and reseon.thank gatluak buom pal. Actually,that one is true.Inaddition to that,I’m very happy because the Gambella power has given to you.And I believed that Gambella after two year it will be like other Ethiopian region even the Nuer zone that is knocked behind for many year.